RONNIE MILSAP-OUT WHERE THE BRIGHT LIGHTS ARE GLOWING, THERE’S NO GETTIN’ OVER ME, KEYED UP AND ONE MORE TRY FOR LOVE. As Ronnie Milsap celebrated his thirty-eighth birthday on January the ’16th’ 1981, he was well on his way to becoming one of the most successful country singers of his generation. Life had been tough for Ronnie Milsap, who had over overcome everything that life had thrown him. Ronnie Milsap was born in Robbinsville, North Carolina in 1943, and congenital disorder meant that he was almost blind from birth. When he was just an infant, Ronnie Milsap’s mother abandoned her young song. He was brought up by his grandparents in the Smoky Mountains. They were poor, and life was tough for Ronnie Milsap. When he was five, Ronnie Milsap was sent to the Governor Morehead School For The Blind in Raleigh, North Carolina. That was where Ronnie Milsap developed a love of music, and he used to sit and listen to late night broadcasts of gospel, R&B and the country music which later, transformed his life. By the age of seven, his teachers noticed that Ronnie Milsap’s musical talent, and soon, he started to study classical music at Governor Morehead and learned several instruments, including the piano which would later become a feature on his albums. Before that, music was transformed with the arrival of Elvis Presley. Just like many teenagers, Ronnie Milsap who was a high school student, formed his own band The Apparitions. This gave Ronnie Milsap a tantalising taste of life as a musician. After high school, Ronnie Milsap won a full scholarship to Young Harris College in Georgia, where he planned to study to become a lawyer. However, music intervened and he joined a local R&B band The Dimensions. This meant that Ronnie Milsap was juggling his studies and his nascent musical career. The Dimensions were a popular band and before long, Ronnie Milsap was playing in venus all over the Atlanta area. By the autumn of 1964, Ronnie Milsap could no longer juggle college and his burgeoning music career. He had been offered a scholarship to law school, but declined and pursue a full-time career in music. Not long after this, Ronnie Milsap met his future wife Joyce Reeves at a dinner party. The pair married in 1965 and by then, Ronnie Milsap’s solo career was well underway. In 1965, Ronnie Milsap had signed for the New York based label Scepter Records. Ronnie Milsap released a number of singles for the label over the next couple of years. Most failed to find an audience, apart from Never Had It So Good which reached nineteen in the US R&B charts, and gave Ronnie Milsap his first hit single. Little did he know that it was the first of many over the next fifteen years. By 1980, Ronnie Milsap had enjoyed twenty-two hit singles in the US Country charts between 1973 and 1980. Twenty-one of these had reached the top ten and sixteen had topped the US Country charts. Ronnie Milsap had also released twelve albums between 1971 and 1980, and nine of these albums had reached the top ten on the US Country charts, while 1975s Night Things was certified gold in Canada and 1976s Ronnie Milsap Live, 1977s Was Almost Like A Song and 1978s Only One Love In My Life were all certified gold in America having sold over 500,000 copies. Ronnie Milsap’s Greatest Hits album was released in 1980, and was certified platinum in Canada and double-platinum in American after selling two million copies. By then, Ronnie Milsap’s sound had started to change, and his albums featured string drenched pop ballads, which would bring him crossover success over the next few years. During the period between 1981 and 1984, Ronnie Milsap released five albums. Four of these albums, Out Where The Bright Lights Are Glowing, There’s No Gettin’ Over Me, Keyed Up and One More Try For Love feature on a two CD set recently released by BGO Records. It sees the rise and rise of Ronnie Milsap continue. Out Where The Bright Lights Are Glowing. Sixteen years after his career began in 1965, Ronnie Milsap was one of the biggest names in country music. Despite the success he was enjoying, Ronnie Milsap was keen to pay homage to one of the giants of country music, Jim Reeves on twelfth album, Out Where The Bright Lights Are Glowing. Jim Reeves had died the year before Ronnie Milsap’s recording career began. He died on ‘31st’ July 1964, when his private plane crashed. However, during his lifetime, Gentleman Jim Reeves was a prolific artist and recorded a huge amount of music. So much so, that his albums were released and charting during the seventies and eighties. As a result, he was one of biggest selling country artists. For Out Where The Bright Lights Are Glowing, Ronnie Milsap decided to record ten songs that Jim Reeves had recorded during his career. Among them, were Marvin Moore and George Campbell’s Four Walls, Leon Payne’s Pride Goes Before A Fall, Joe Allison and Audrey Allison’s He’ll Have To Go, Harlan Howard’s I Won’t Forget You, Werly Fairburn I Guess I’m Crazy (For Loving You), Roger Miller and Bill Anderson’s When Two Worlds Collide and Red Sovine and Dale Noe’s Missing You. These songs were joined by two Jim Reeves’ compositions I’m Gettin’ Better and Am I Losing You? Two new compositions Out Where The Bright Lights Are Glowing and Dear Friend found their way onto Ronnie Milsap’s homage to Jim Reeves. Recording of Out Where The Bright Lights Are Glowing took place at Woodland Sound Studio, in Nashville, Tennessee. Co-producing the album were Ronnie Milsap and Tom Collins, who were joined by some of Nashville’s top session players. This included Bobby Gene Emmons and Bobby Ogdin who played Fender Rhodes, vibes players Charlie McCoy and Farrell Morris and Richard Ripani who like Ronnie Milsap played synths. They were joined by backing singers and strings as Ronnie Milsap began recording a thoroughly modern country record with crossover appeal. When Out Where The Bright Lights Are Glowing was released in 1981, Ronnie Milsap’s carefully crafted tribute to Gentleman Jim Reeves was well received by critics. It was a mixture of country and pop, which meant that Out Where The Bright Lights Are Glowing was sure to have crossover appeal. Especially when the album featured many string-drenched ballads, which were augmented by a couple of uptempo tracks. On the ballads, Ronnie Milsap breathed life, meaning and emotion into the lyrics on what was a poignant tribute to a giant of country music. However, one song stood head and shoulders above the rest…Am I Losing You? When it came to release a single from Out Where The Bright Lights Are Glowing in early 1981, the song that was chosen was Am I Losing You? It reached number one in the American and Canadian Country charts. For Ronnie Milsap this was his seventeenth number one in the US Country charts. That wasn’t the end of the success for Ronnie Milsap. Out Where The Bright Lights Are Glowing reached number six in the US Country charts and eighty-nine in the US Billboard 200. This was Ronnie Milsap’s most successful album in the US Billboard 200. He was now enjoying the crossover success he worked so hard towards. There’s No Gettin’ Over Me. 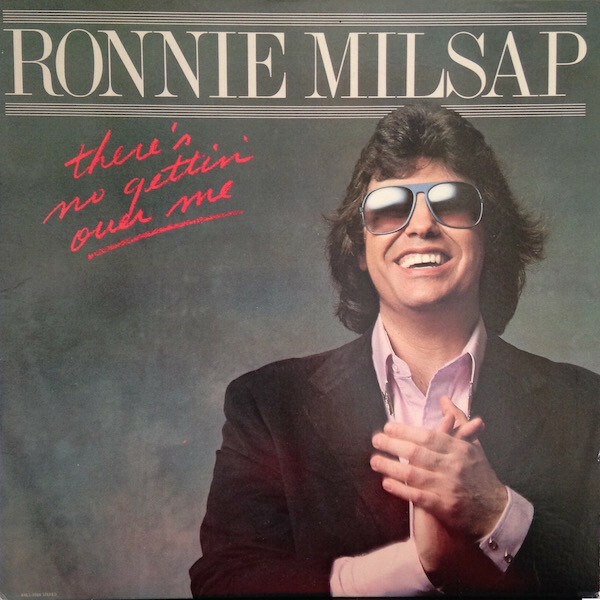 Later in 1981, Ronnie Milsap returned with his thirteenth album There’s No Gettin’ Over Me, which was co-produced by Ronnie Milsap and Tom Collins. They were joined by some of Nashville’s top musicians in the city’s Woodland Sound Studio. That was where they recorded the ten songs that became Ronnie Milsap’s thirteenth album There’s No Gettin’ Over Me. When recording of There’s No Gettin’ Over Me began, Ronnie Milsap had carefully chosen ten songs that he hoped wouldn’t just appeal to fans of country music, but would also have crossover appeal. This included Everywhere I Turn (There’s Your Memory which was penned by Naomi Martin and Archie Jordan, who wrote It’s All I Can Do with Richard Leigh. Archie Jordan also wrote Jesus Is Your Ticket To Heaven and It Happens Every Time (I Think of You). They were joined by (There’s) No Gettin’ Over Me which was penned by Walt Aldridge and Tom Brasfield, who also cowrote It’s Written All Over Your Face with Robert Byrne. It was joined by I Wouldn’t Have Missed It For The World which was written by Kye Fleming, Dennis Morgan and Charles Quillen, who cowrote I Live My Whole Life At Night with John Schweers. Other tracks included Suzy Storm and Barbara Wyrick’s Too Big for Words, which would become There’s No Gettin’ Over Me, which was a landmark album for Ronnie Milsap. Critics on hearing There’s No Gettin’ Over Me hailed the album as one of Ronnie Milsap’s finest hours. By then, he was in his middle period, and was extend his appeal beyond country music fans. Ronnie Milsap was trying to appeal to a wider audience with his pop stylings on There’s No Gettin’ Over Me. It was an album of the highest quality, and was sure to do so win over a new legion of fans for Ronnie Milsap. There’s No Gettin’ Over Me featured slick, carefully crafted arrangements and songs where Ronnie Milsap’s voice exudes humility, confidence and sometimes, empathy and emotion. It was a powerful, poignant, beautiful and sometimes, uplifting album of crossover country music and pop. Among its many highlights were (There’s) No Gettin’ Over Me, It’s All I Can Do and I Wouldn’t Have Missed It For The World. Record buyers agreed. When (There’s) No Gettin’ Over Me was released as the lead single, it topped the US and Canadian Country charts and reached number five in the US Billboard 100. This made (There’s) No Gettin’ Over Me Ronnie Milsap’s most successful single. Then when the album (There’s) No Gettin’ Over Me was released later in 1981, it reached thirty-one in the US Billboard 200 and topped the US and Canadian Country charts. (There’s) No Gettin’ Over Me went on to sell over 500,000 copies and was certified gold, and became Ronnie Milsap’s most successful album. The second single released from the album was I Wouldn’t Have Missed It For The World, which reached number twenty in the US Billboard 100, but again, topped the US and Canadian Country charts. It seemed that Ronnie Milsap could do no wrong. Replicating the success of Out Where The Bright Lights Are Glowing and There’s No Gettin’ Over Me wasn’t going to be easy as Ronnie Milsap released his fourteenth studio album in 1982. It featured ten cover versions which were co-produced by Ronnie Milsap and Tom Collins. When critics heard Inside, they were won over by another album of crossover country and pop. Among the album’s highlights, were Burt Bacharach and Bob Hilliard’s Any Day Now, Mike Reid’s Inside and Ralph Murphy and Bobby Wood’s He Got You. Again, strings played an important part in the arrangements and gave the album crossover appeal. Ronnie Milsap hoped that Inside would find favour beyond fans of country music. The lead single from Inside was Any Day Now, which reached number fourteen in the US Billboard 100 and topped the US and Canadian Country charts. Inside reached number sixty-six on the US Billboard 200 and four on the US Country charts. He Got You was then released as a single and stalled at fifty-nine on the US Billboard 100 and number one on the US Country charts. Across the border in Canada, He Got You reached two in the Country charts. Normal service was resumed when the single Inside topped the US and Canadian Country charts. By then, Ronnie Milsap was one of the biggest names in country music. 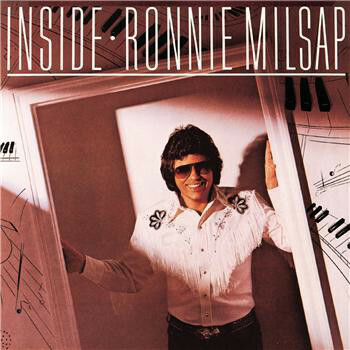 Buoyed by the success of Inside, Ronnie Milsap’s thoughts turned to his fifteenth studio album Keyed Up. He was keen to build on the success of Out Where The Bright Lights Are Glowing, There’s No Gettin’ Over Me and Inside. He was now one of most popular country artists, but unlike many of his contemporaries, had that all important crossover appeal. This he hoped would continue with his next album. For Keyed Up, Ronnie Milsap chose ten songs. This including four from the pen of Mike Reid who wrote Stranger In My House and Show Me. He cowrote Is It Over with Charles Quillen and We’re Here To Love with Troy Seals. The Kyle Fleming and Dennis Morgan songwriting partnership contributed Redneck At Heart and Feelings Change, while Michael Stewart and Dan Williams wrote Don’t You Know How Much I Love You. These were some of the songs that featured on Keyed Up, which was co-produced by Ronnie Milsap and Tom Collins. They were responsible for another slick, carefully crafted album of crossover country, pop and rock. Just like previous albums, ballads and uptempo tracks rubbed shoulders on an album that was long on quality. It was no surprise that Keyed Up found favour with critics. Especially with songs of the quality of the string-drenched ballad Show Me, and the hurt-filled ballads Stranger In My House and Don’t You Know How Much I Love You. They were a tantalising taste of the quality of music on Keyed Up. Stranger In The House was released as the lead single in 1983, reaching twenty-three in the US Billboard 100, five in the US Country charts and number one in the Canadian Country charts. Keyed Up reached thirty-six in the US Billboard 200 and two n the US Country charts. The single Don’t You Know How Much I Love You the stalled at fifty-eight in the US Billboard 100, but topped the US and Canadian Country charts. So did Show Her, the third single released from Keyed Up. It was one of Ronnie Milsap’s most successful albums, and had featured two number ones in the US and Canadian Country charts. The rise and rise of Ronnie Milsap continued. One More Try For Love. Having found a successful formula, most artists would’ve been reluctant to change anything. However, Ronnie Milsap wasn’t most artists and was keen to keep up to date with an ever-changing musical world. For One More Try For Love, Ronnie Milsap chose ten songs written by some of the songwriters who had played a part in his success. This included Mike Reid who contributed Still Losing You, Prisoner Of The Highway and I Might Have Said. He also cowrote She’s Always In Love with Michael D. Stewart and Dan E. Williams who wrote Suburbia. Archie Jordan wrote I’ll Take Care Of You, while Quentin Powers, Susan Longacre and Gary Prim cowrote Night By Night where Ronnie Milsap duetted with Lisa Silver. Robert Byrne cowrote the title-track One More Try For Love with Brandon Barnes. These songs became One More Try For Love where the changes were rung. This included a change in Ronnie Milsap’s production partner. Rob Galbraith was brought in and replaced Tom Collins. For many within the music industry in Nashville this case as a surprise. Over the years, Ronnie Milsap and Tom Collins had forged a successful production partnership. The pair was responsible for many of Ronnie Milsap’s best, and most successful albums. The pair had worked together for the best part of a decade. 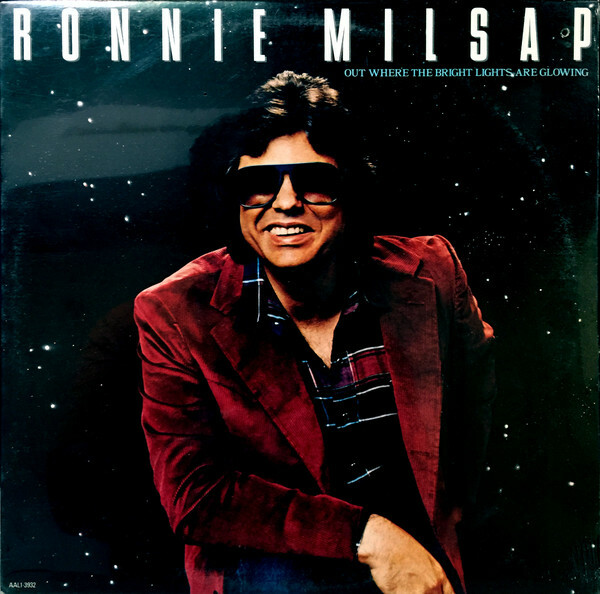 Ronnie Milsap first met Tom Collins when he and Jack D. Johnson co-produced Ronnie Milsap’s 1973 sophomore album Where My Heart Is. This was the start of a long-lasting working relationship and friendship. Tom Collins and Jack D. Johnson returned to coproduce 1974s Pure Love and 1975s A Legend in My Time. The pair was usurped by Dan Penn and Chips Moman for Ronnie Milsap’s fifth studio album. Ironically, it wasn’t Ronnie Milsap’s finest hour, and Tom Collins and Jack D. Johnson were back behind the control desk for Night Things later in 1975. However, David Nives was brought in to produce 20/20 Vision album in 1976 which featured two US Country number ones in the US Country charts. Despite this success, Ronnie Milsap and Tom Collins embarked on what would be a successful production partnership. They made their debut on 1977s It Was Almost Like a Song, and continued on 1978s Only One Love In My Life and 1979s Images. There was a change in production partner for Milsap Magic, when Ronnie Milsap was joined by Rob Galbraith. The Ronnie Milsap and Tom Collins return in time to record 1981s Out Where the Bright Lights Are Glowing. This was the start of a run of four albums where Ronnie Milsap commercial success and critical acclaim. Despite that Ronnie Milsap and Rob Galbraith co-produced One More Try For Love. When work began on Ronnie Milsap’s sixteenth studio album his production partner Rob Galbraith decided to use the latest equipment to electronic alter the vocals on several tracks. It seemed even that last bastion of musical tradition Nashville, wasn’t immune to eighties technology. Among the tracks Rob Galbraith used the effects on, were She Loves My Car and Suburbia. This seemed a strange decision, as Ronnie Milsap was one of country music’s top vocalists. It seemed an ill-conceived idea, but fortunately, Rob Galbraith used the effect sparingly, and critics would later deem its use a success. When critics heard One More Try For Love, they discovered a quite different album. Still, the album was well received by critics who noticed that many of the lush strings of previous albums were gone. They made brief appearances on an album that showed the different sides of Ronnie Milsap. Some songs moved in the direction of AOR including One More Try For Love, Still Losing You, Suburbia and I Might Have Said. I Missed You, I’ll Take Care Of You and Night By Night combined pop stylings with elements of country music. However, other songs including She Loves My Car, She’s Always In Love featured the ubiquitous eighties drums, synths and effects. It seemed that Rob Galbraith was trying to reinvent Ronnie Milsap’s sound. This was a strange decision, as Ronnie Milsap was enjoying the most successful period of his career. He didn’t need to follow passing musical trends, in pursuit of further commercial success. The lead single Still Losing You was released, but failed to chart on the US Billboard 100. However, it topped the US and Canadian Country charts in 1984. When One More Try For Love was released in 1984, it stalled at a lowly 180 in the US Billboard 200 and ten on the US Country charts. For Ronnie Milsap this was a huge disappointment. So was Prisoner Of The Highway failing to trouble the US Billboard 100. It still reached number six on the US Country charts and nine on the Canadian Country chart. She Loves My Car then reached eighty-four in the US Billboard 100, and was the first country single to feature on MTV. One More Try For Love wasn’t the success that everyone at RCA Records had hoped, and the decision to reinvent Ronnie Milsap had backfired, despite the quality of music on the album. Ironically, right up until One More Try For Love, Ronnie Milsap had been enjoying the most successful period of his career. He had been an almost permanent feature in the top ten of the US Country album charts since his 1973 sophomore album Where My Heart Is. The only album that failed to reach the top ten was the Dan Penn and Chips Moman produced A Rose By Any Other Name. Apart from that, Ronnie Milsap could do no wrong. Before the release of One More Try for Love, Ronnie Milsap had enjoyed twenty-three number ones in the US Country charts and eighteen in Canada. 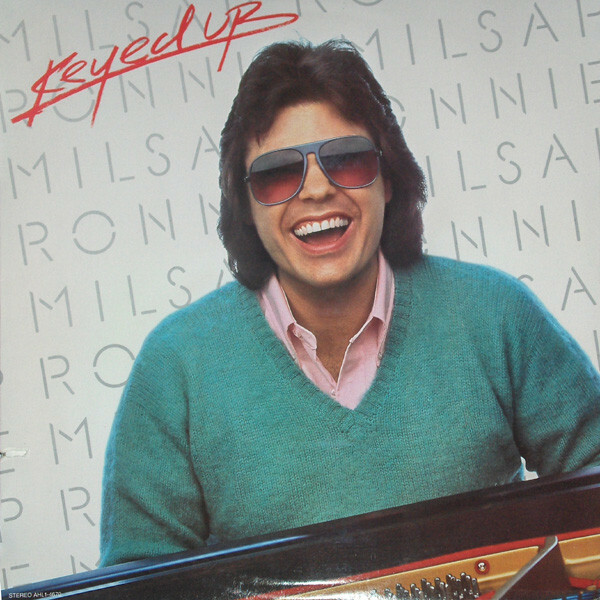 Ronnie Milsap had released fifteen studio albums and one live album between his 1971 eponymous debut album and 1983s Keyed Up. Thirteen of these albums had reached the top ten on the US Country charts, while 1975s Night Things was certified gold in Canada and 1976s Ronnie Milsap Live, 1977s Was Almost Like a Song and 1978s Only One Love in My Life and 1981s There’s No Gettin’ Over Me were all certified gold in America. In 1980, Ronnie Milsap’s Greatest Hits was certified platinum in Canada and double-platinum in American after selling two million copies. It was no wonder many people wondered why Ronnie Milsap changed direction on One More Try For Love. 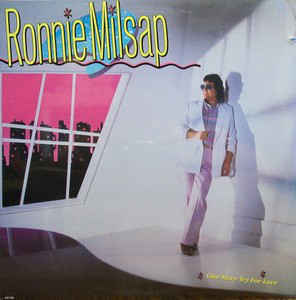 Many people saw Ronnie Milsap’s to change direction on One More Try For Love as a huge mistake. Although it was a mixture of his old and new sounds, the change in direction alienated many of his fans who had enjoyed his mixture of pop, AOR and country. While this was still present on One More Try for Love, so were eighties drums, synths and effects. This was something that many of Ronnie Milsap’s fans thought didn’t belong on One More Try For Love, which was the end of an era. Never again would Ronnie Milsap enjoy the same success has he had enjoyed up until Keyed Up. Sadly, the Ronnie Milsap and Tom Collins partnership were never reunited. Granted Tom Collins, Ronnie Milsap and Rob Galbraith co-produced 1985s Lost In The Fifties Tonight and 1989s Stranger Things Have Happened. However, three is often a crowd when it came to production, and Ronnie Milsap and Tom Collins never worked together again as a partnership. 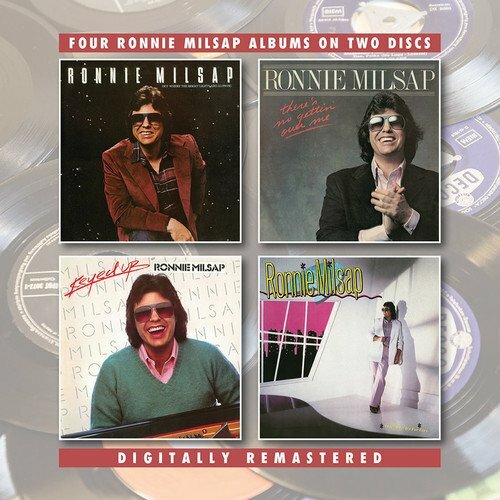 Ronnie Milsap and Tom Collins co-produced three of the four albums that feature on BGO Records two CD set, including Out Where The Bright Lights Are Glowing, There’s No Gettin’ Over Me and Keyed Up. These three albums are joined by One More Try For Love which was co-produced by Ronnie Milsap and Rob Galbraith. Although some of the tracks on One More Try For Love show Ronnie Milsap receiving an eighties makeover as elements of electronica and rock combine, most of the music is a mixture of AOR, country and pop. This was the same type of music that featured on Out Where The Bright Lights Are Glowing, There’s No Gettin’ Over Me and Keyed Up. They feature music that is slick, carefully crafted, melodic and memorable. It’s also the perfect introduction to Ronnie Milsap. By the time One More Try For Love was released in 1984, Ronnie Milsap was forty-three and one of the biggest names in country music. To do that, Ronnie Milsap had overcome a serious disability, and went on to enjoy commercial success and critical acclaim during the seventies and early eighties where he became a giant of modern country music.